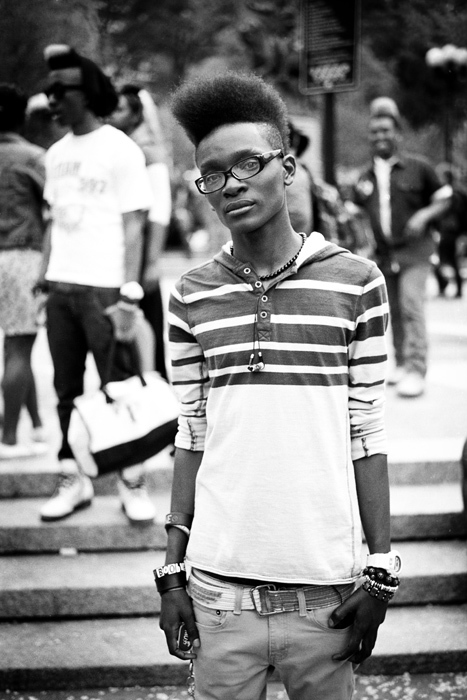 Categories: Men | Tags: manhattan, new york, photography, portrait, street photography, union square | Permalink. Well, you did it again. You either stumble upon the most visually interesting and stimulating people in all of NYC, or you are able to bring out the “it” in every one of your subjects. I have a guess as to which it is. Thank you for sharing your beautiful work with the rest of us. Cheers! Thank you for your comment. There are so many interesting people here. It’s a fun place to be a photographer. I’m glad you’re enjoying the site! He is wonderful. Did you happen to ask him what time it was? Great shot.